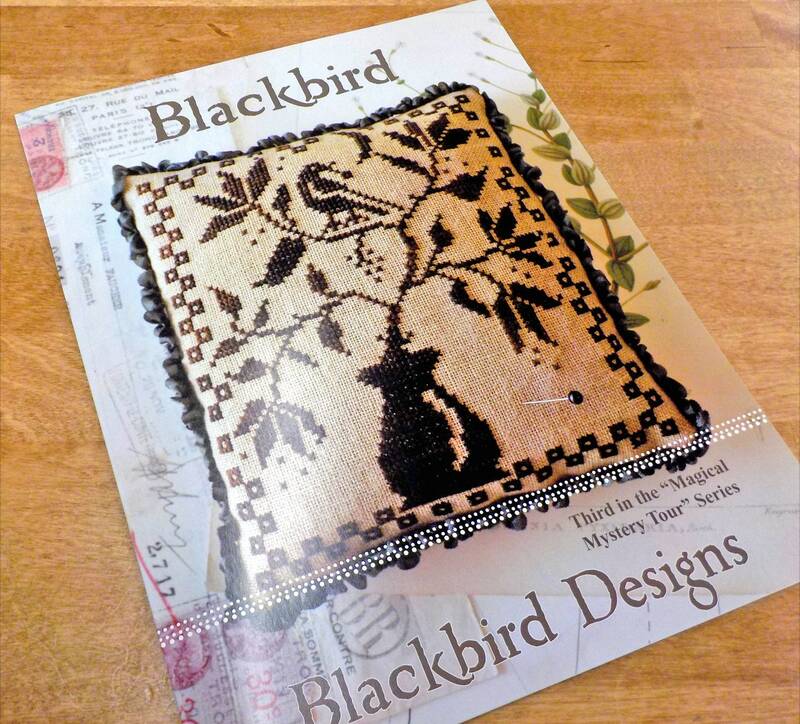 Blackbird, "Magical Mystery Tour" Series #3, by Blackbird Designs...cross-stitch design. This series of projects is inspired by Barb's favorite Beatles songs. This Tour Bus has a total of 6 stops...this little project is stop number 3 and is based on the Beatles song with the same name. Stitch up this little darling and back it for a delightful little pincushion. Blackbird finishes at 6 x 6 3/4 inches.